The U.S. Air Force has awarded ManTech International a four-year, $8.7 million contract to support the U.S. Strategic Command’s Human Space Flight Support program as well as NASA‘s Commercial Crew Program and Orion requirements. The military branch received two bids for the contract via a competitive solicitation under the General Services Administration‘s One Acquisition Solution for Integrated Services vehicle, the Defense Department said Thursday. 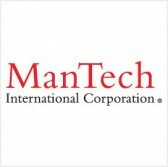 ManTech will provide support services such as planning, coordination, procedural development, command and control communication, testing and evaluation. Work will occur at Patrick Air Force Base in Florida and is scheduled to finish April 9, 2021. DoD noted the obligated amount of $1.8 million at the time of award is from the service branch’s fiscal 2017 operations and maintenance funds.